***NEW opening hostel with the HIGHEST RATING!!!! All of our guest had a GREAT TIME! WE Bangkok is chick, fun, clean and safe. With FREE INTERNET ,key card access, CCTV, personal lockers, 24 hour service, friendly English speaking staffs, roof top bar, good shower, air-con, pool table and many more. WE located between famous Silom and Sathorn road in the center of Bangkok near BTS close to Night market, Patpong, Jim Thompson house, Madame Tussauds, Pratunam wholesale market, Riverside, Bangkok art and culture center, old part of the city, China town, Lumpini Park and boxing stadium, main train station to all part of Thailand and all the big shopping malls such as MBK, Siam paragon. WE can ensure you that your time will not be wasted during your stay with us. Guaranteed to be one of the most exciting experience, come join our guest from around the world at WE Bangkok. **Lobby: A comfortable zone with couches and a big screen TV with cable channels along with a small minibar to provide you with snacks as well as fresh brewed coffee to serve your needs. **Hip floor: Pool tables are available for guests to enjoy as well as computers with internet access. For book readers, we have a book exchange shelf with a variety of books to choose from. **Private Room: A private room fully furnished with cable TV, closet, and a built in bathroom. **Roof Top Bar: A stunning view of Bangkok with various drinks to help you end your day. 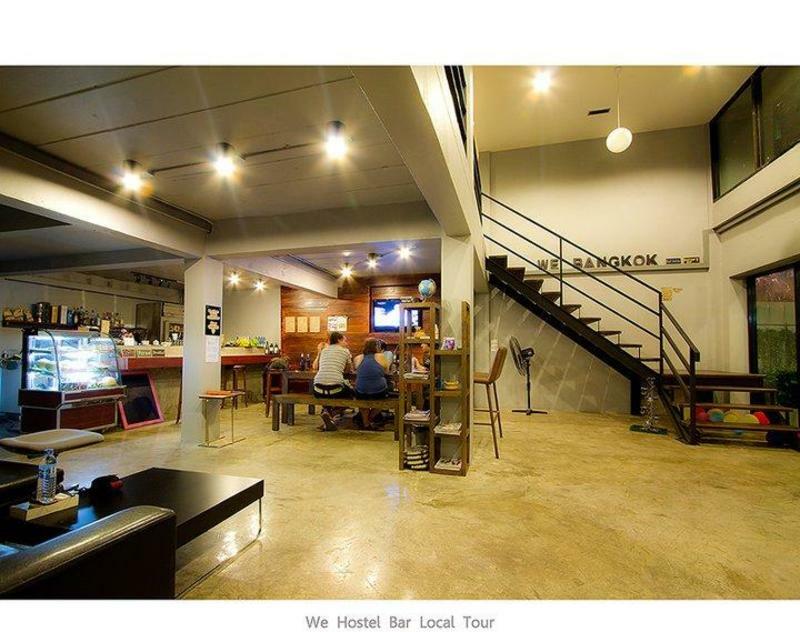 By Airport link train and BTS, Stop at Chong Nonsi Station, go out at Exit 1, then look for Silom soi 9 or Sathorn soi 12. **Shortcut option** once you exit at exit no1 look for a little alley on your lefthand side. it will direct you to sathorn soi 10 which connect to sathorn soi 12. once you come out from alley turn left. keep walking we will be on your right handside.